The 24 is, quite simply, a central London institution. 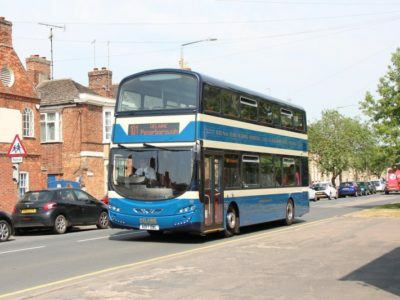 And it’s day 24 on #AYearOfBuses. 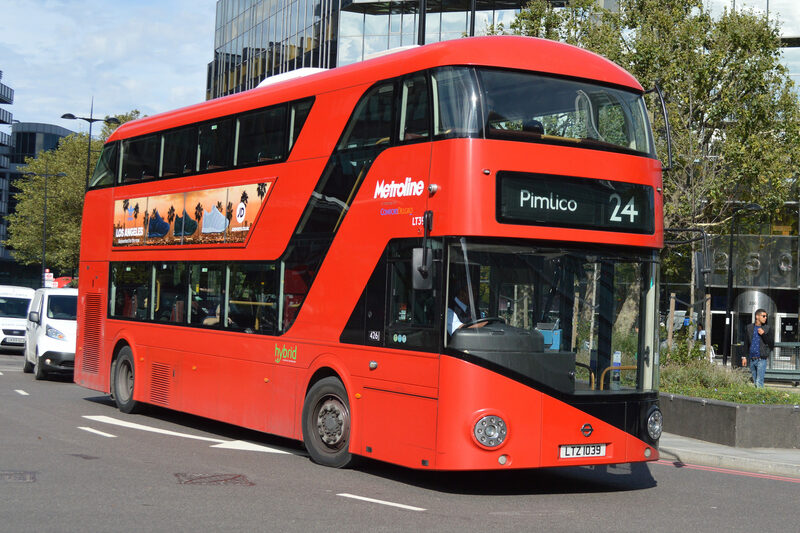 Dating back over 100 years to its birth in 1910 and current route in 1912, the 24 has the honour of wearing the crown as London’s oldest unchanged bus route. Not that it hasn’t undergone changes in ways other than its actual route, of course. The 24 is a pioneer amongst London’s bus routes. 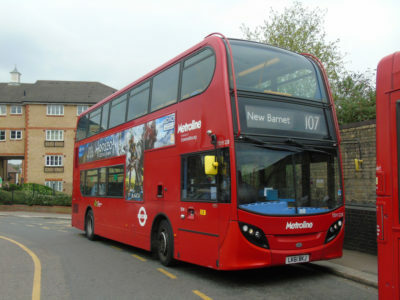 It was the first central London route to be awarded under the tendering process to a private company, rather than London Transport. 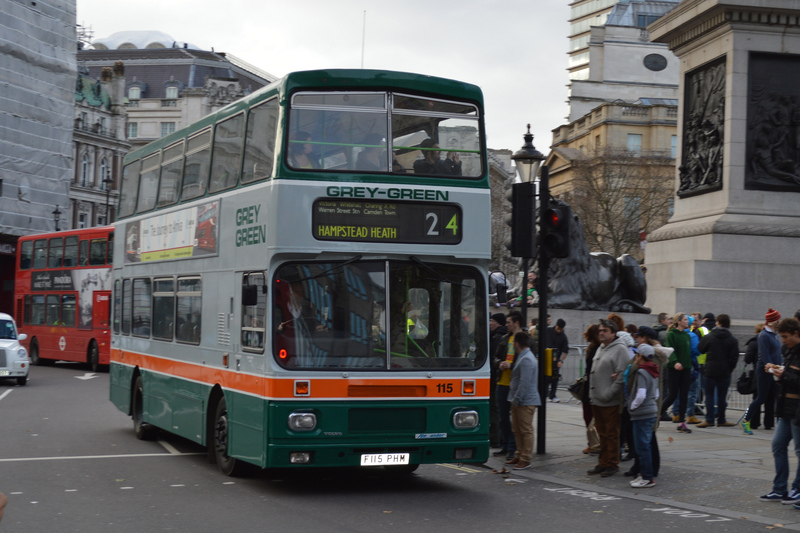 Grey-Green took over the 24 in November 1988, using Alexander-bodied Volvo Citybuses painted in a boldly attractive grey, green and orange livery. 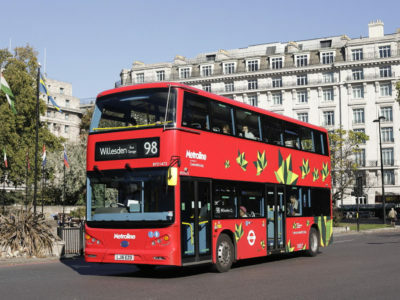 It was also the first London route to use buses with doors at the front, when a batch of 30 Leyland Atlanteans arrived in 1965. 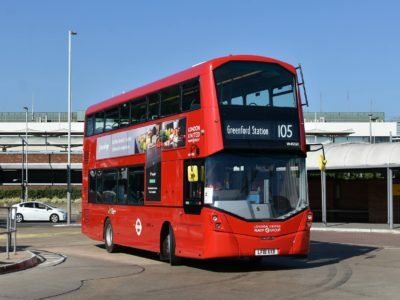 Since then, it’s passed through a handful of operators, including Metroline, London General and back to Metroline again, with a steady flow of vehicle upgrades over the years – culminating in the current batch of New Routemasters, running out of Metroline’s Holloway garage. Image credits: Martin49 on Flickr.